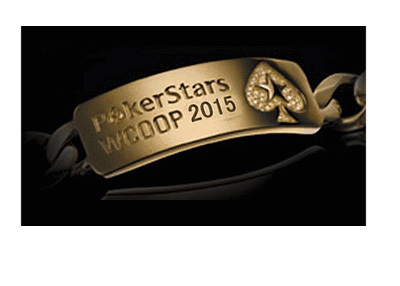 The 2015 WCOOP (World Championship of Online Poker) reached its conclusion earlier today after Belgian player "Coenaldinho7" walked away with the main event title and $1.3 million in prize money. The main event ended up attracting a total of 1,995 entrants, which meant that the prize pool was the $10 million that Pokerstars had guaranteed before the tournament got underway. Despite not quite reaching 2,000 players, Pokerstars still walked away with a very nice profit considering that the tournament fee was $200 per head. Despite starting the final table as the short stack, and despite wanting to agree to a deal before the final table got underway, "Coenaldinho7" was able to navigate his way through the final table to take home the tournament. The final table wasn't an easy one, as there was a few notable players present, including Alexander "joiso" Kostritsyn and Rory "Mr.Kingball" Brown. Despite starting the final table as the chip leader, and despite having a wealth of experience to draw on, Kostritsyn wasn't able to take down the event. When play was four-handed, the remaining players agreed to a deal that would see three of the four players become instant millionaires. The short stack at the time, "beertjes79", agreed to a payout of $800,000. The deal left a total of $200,000 to play for, which was eventually claimed by "Coenaldinho7". "AlwaysiNduCe" was far out in front in the hand and was looking to claim a key double-up. This all changed, however, when the 10 of Diamonds came on the river, giving "Coenaldinho7" the victory and an extra $200,000 in pocket money.